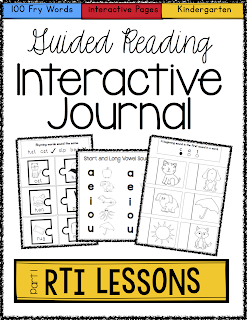 Interactive journaling is becoming more and more popular in primary classrooms. If you haven't tried them yet, then I really suggest you do! 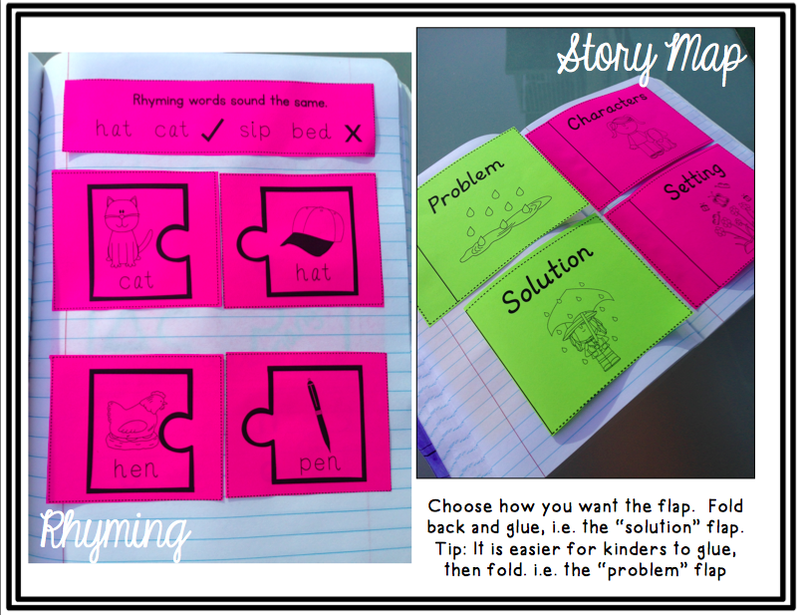 They are really simple to start- no need to wait until the beginning of the year- they can be implemented at any time. 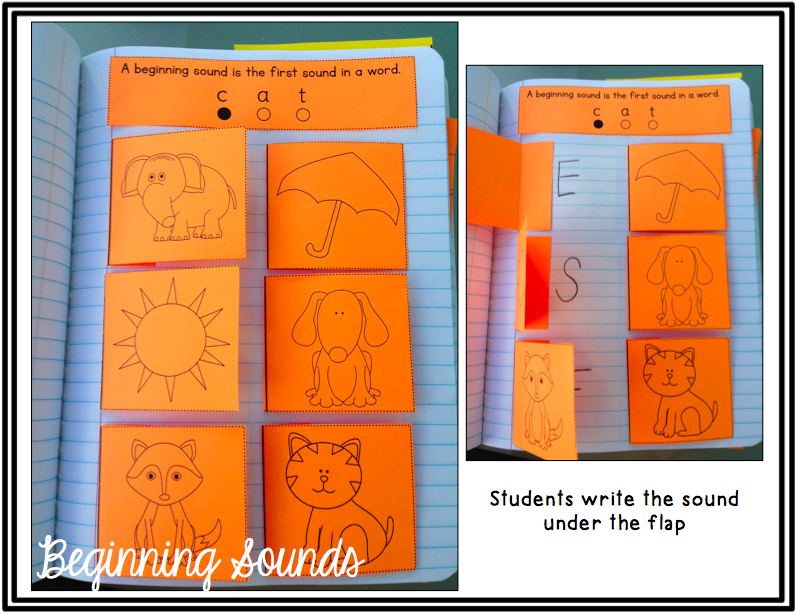 Interactive journals provide students with the opportunity to creatively learn. Students have the ability to use the journal as a year long reference and engages them into more critical thinking. 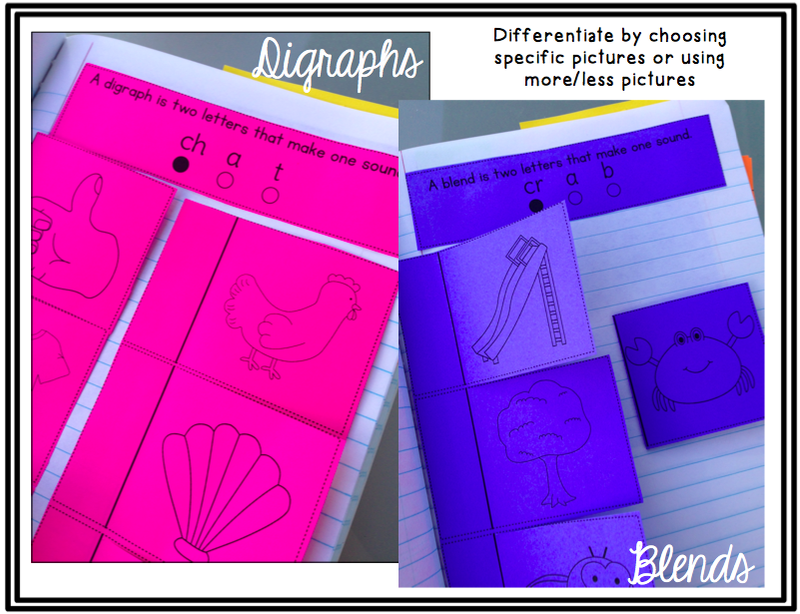 I decided to try out interactive journals in guided reading. I found myself losing track of student work completed during GR and also felt like I was re-creating things over and over. 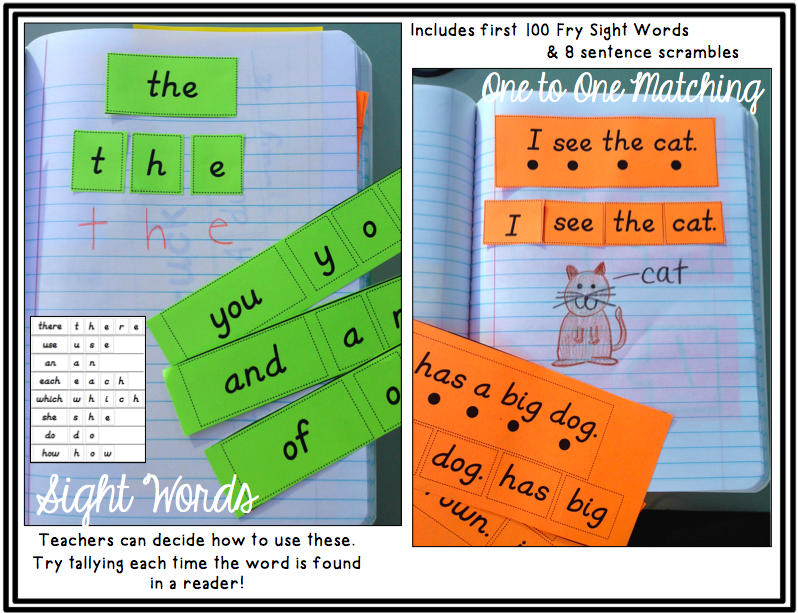 I would be able to cover more concepts if my students had something to refer to at anytime (instead of me shuffling through phonics bins to find something that I will only reference for 30 seconds). 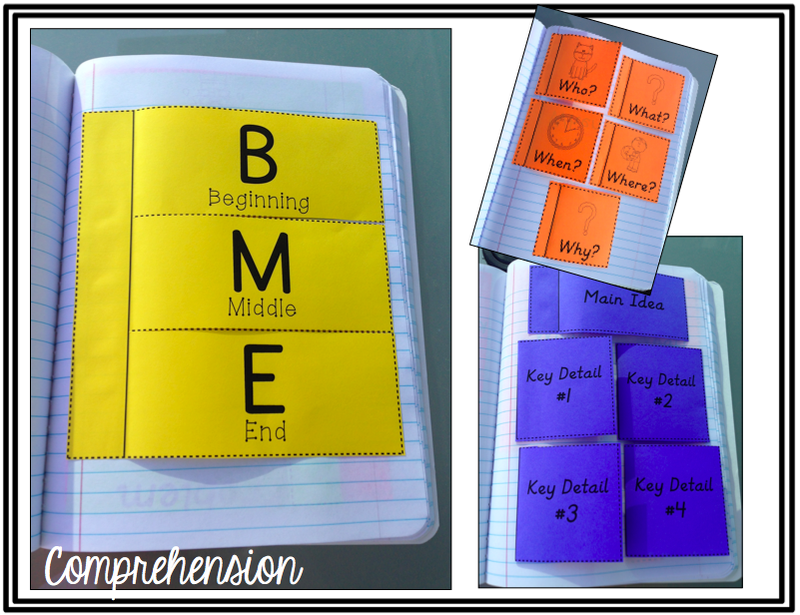 I also wanted something that would supplement any lesson or focus I was working on in GR. One thing I kept in mind while creating this was keep it simple. 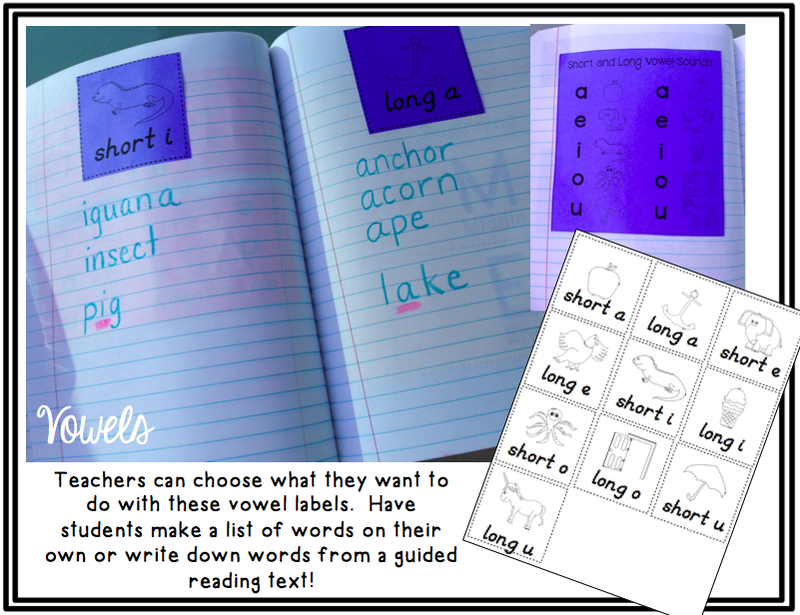 There are so many great, hidden resources out there that are packed with so much information and steps that it's almost impossible for the teacher to figure out. How do I expect a 5 year old to manage a notebook if I can't keep up with it? My goal was to make sure there was enough challenge, yet a simple, routine format used. 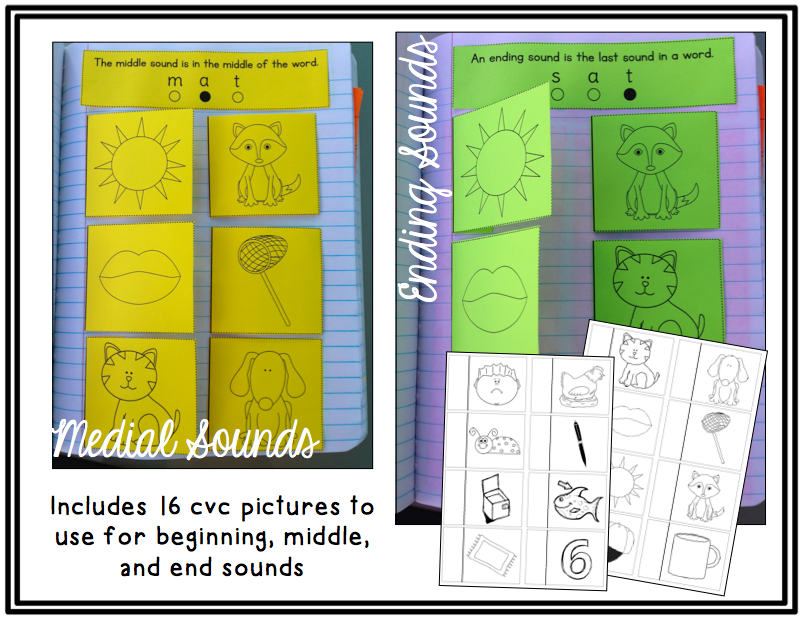 So with all of this in mind, I created an interactive guided reading journal aimed for beginning readers. Realizing how much there was to cover, I decided to chunk the journal into parts which I will continue to work on throughout the school year. Here is part 1! You can find Part 2 here! With all of these concerns in mind, I tried to make the cutting as easy as possible. 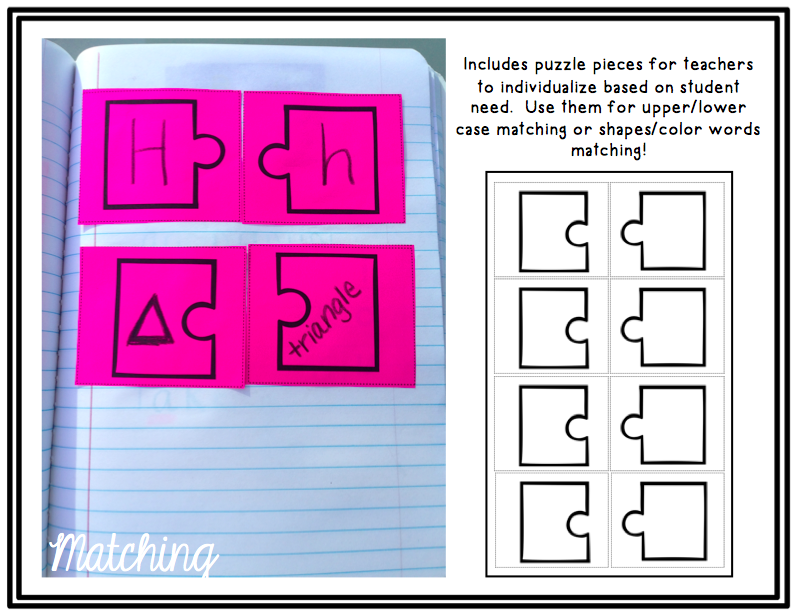 The foldable pieces are squished together on each page to achieve as little amount of cutting possible. If you look at the examples below, you can see each letter or word is right next to one another. 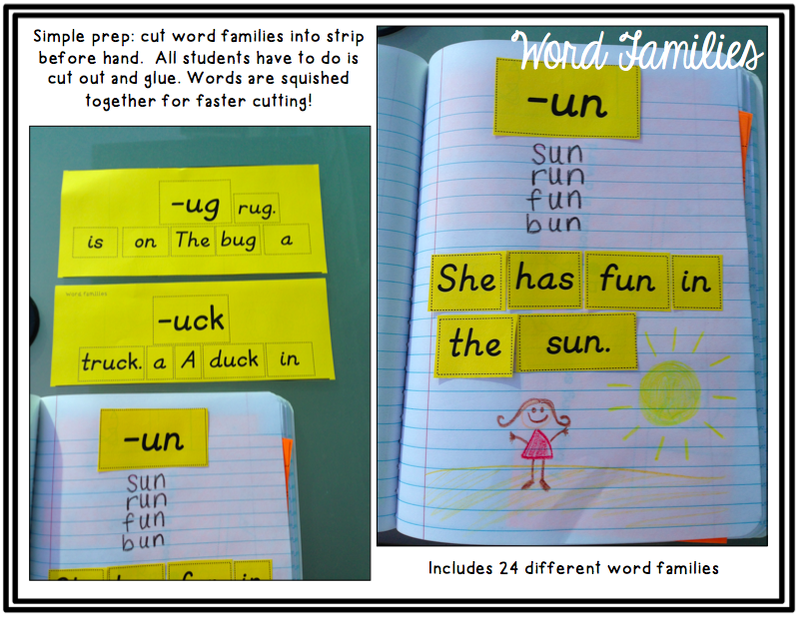 Students can do a few snips and its ready for pasting. 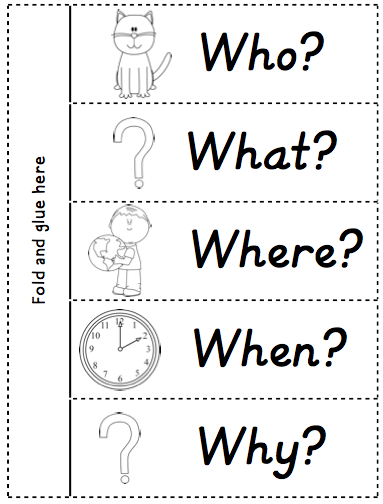 Click the picture above or here to download this freebie from my GR journal pack!